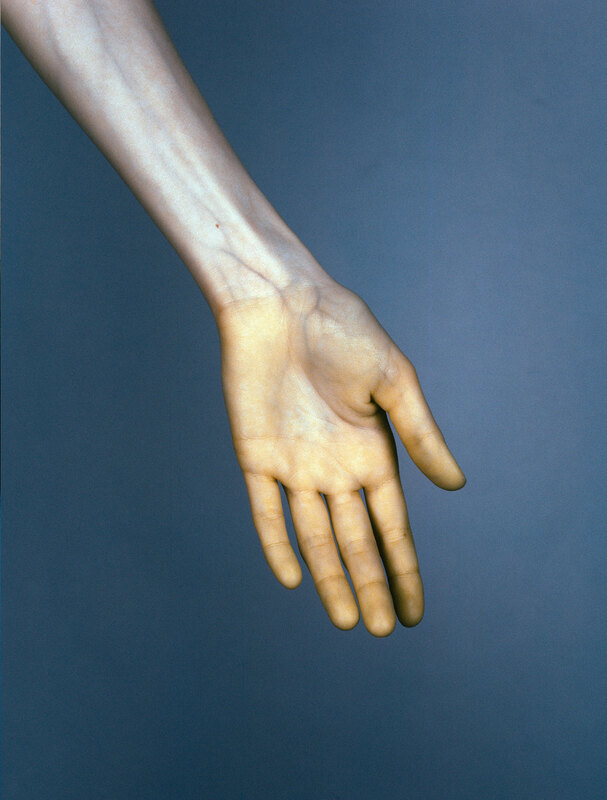 Edward Thompson, Studies in Pollution #7. The River Thames from The City, 2014. England. 120mm CIR Photograph. © Edward Thompson/Schilt Publishing & Gallery. 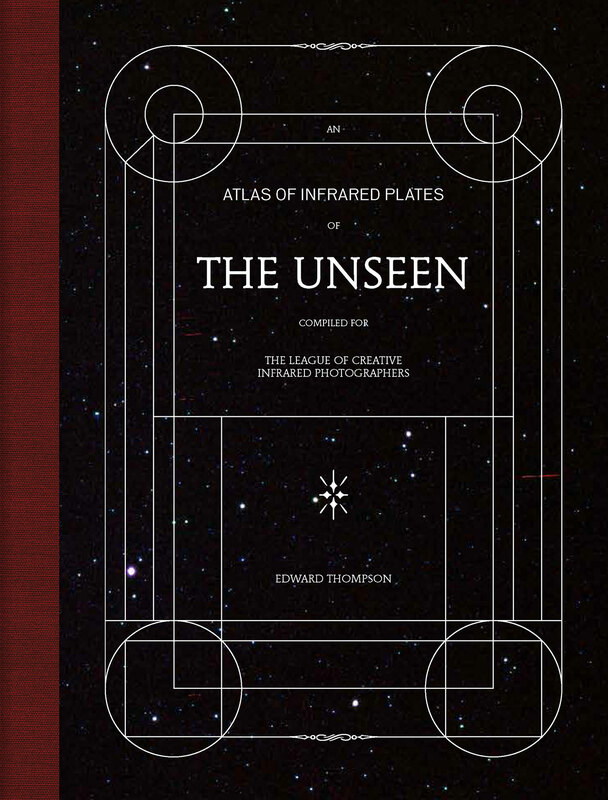 Taking advantage of infrared photography’s extraordinary representational properties and its peculiarly diverse usage throughout the 20th century, British documentary photographer Edward Thompson presents “The Unseen – An Atlas of Infrared Plates”. 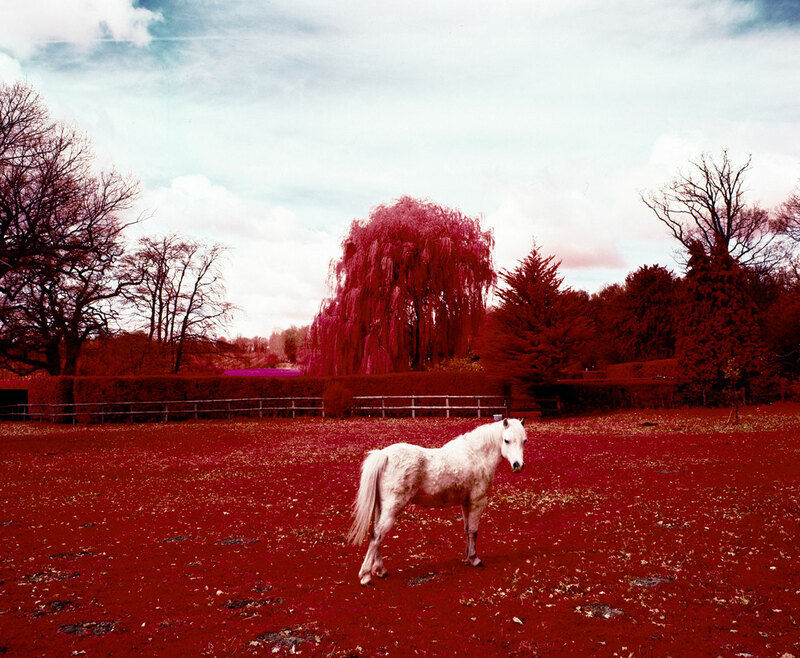 The book, published by Schilt Publishing, released on June 23rd, is a compilation of images that explore the world around us through the looking glass of infrared imaging, revealing unseen or unnoticed aspects of otherworldly yet real beauty. 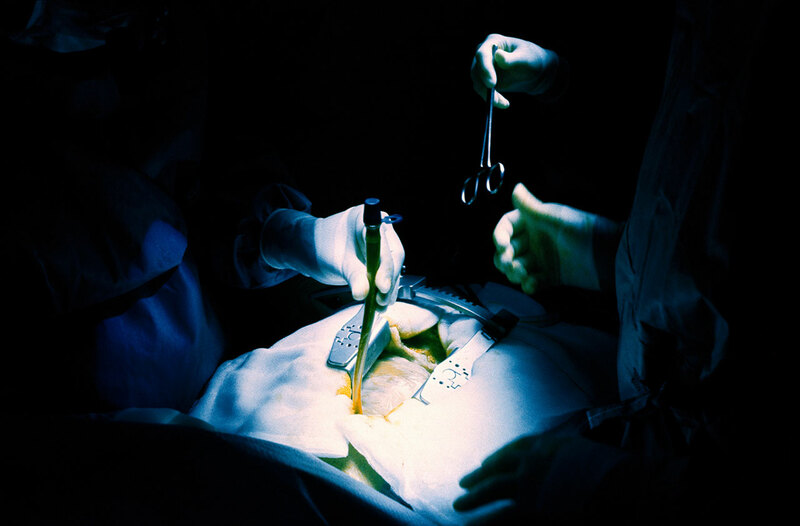 Edward Thompson, Mitral valve repair performed via an open chest incision, 2016. 35mm CIR Photograph. © Edward Thompson/Schilt Publishing & Gallery. Edward Thompson, Alluvium deposits on a river floodplain where the camp stood from After the Flood, After the Red River Valley, 2012. India. 120mm CIR Photograph. © Edward Thompson/Schilt Publishing & Gallery. The project fittingly started in 2011 as a ghost chase while Thompson was looking for ways to substantiate claims that Pluckley, a village in Kent, was haunted. This led him to take up infrared photography (IR), which can capture light above the visible spectrum and thus render the invisible visible. Having gone through 6 rolls of medium format Kodak Aerodrome film, he may not have discovered any lurking phantoms but was intrigued enough to dig into the film’s history which inspired him to devise a wider, twelve-part project— evolving into the book’s twelve chapters—to uncannily capture the world through IR’s unique properties. Edward Thompson, Portrait from The Vein, 2014/15. 120mm CIR Photograph. © Edward Thompson/Schilt Publishing & Gallery. Edward Thompson, The view from Rose Court from The Village, 2010. England. 120mm CIR Photograph. © Edward Thompson/Schilt Publishing & Gallery. 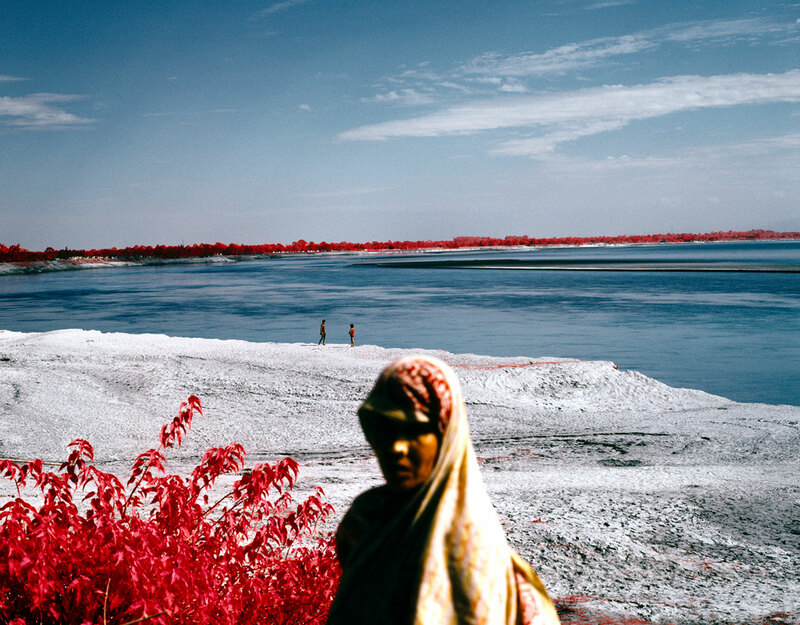 Kodak Aerochrome was created in the 1940's as reconnaissance technology to detect camouflaged enemy forces and was later used in aerial vegetation surveys where the health of foliage can be determined—which it does by capturing chlorophyll and rendering them in red (healthy) and magenta (unhealthy) hues. 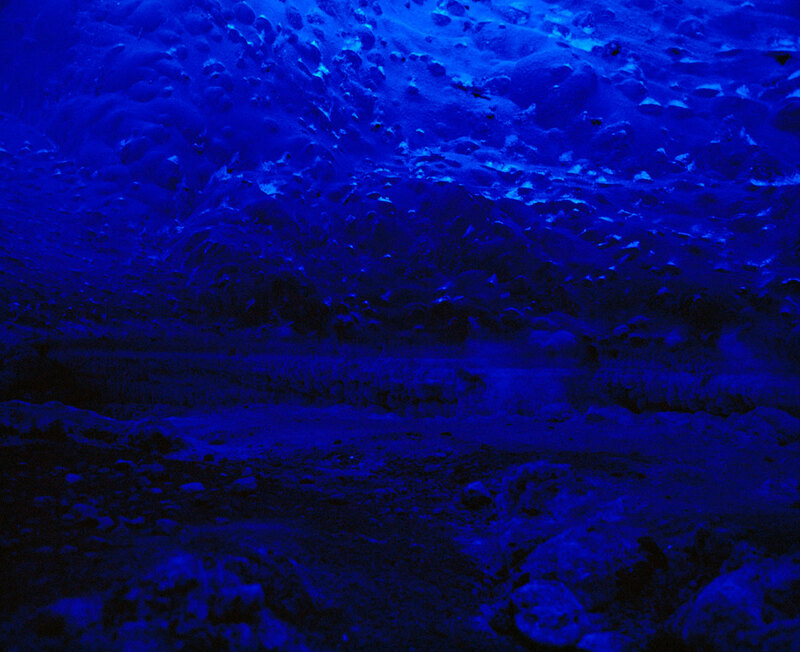 Appropriating these and other usages and sourcing the last 52 dead-stock rolls—Kodak discontinued production in 2009—Thompson has documented a wide range of subject matter, from London’s pollution in “The City” (2014) and rapidly melting glacial ice caves in “Hellir” (2016), to families affected by flooding in “After the flood, after the Red River valley” (2012) and the most radioactive forest in the world in “The Red Forest” (2012) in which Chernobyl in Ukraine is re-imagined, as the photographer eloquently explains, “in deep Soviet burgundy”. 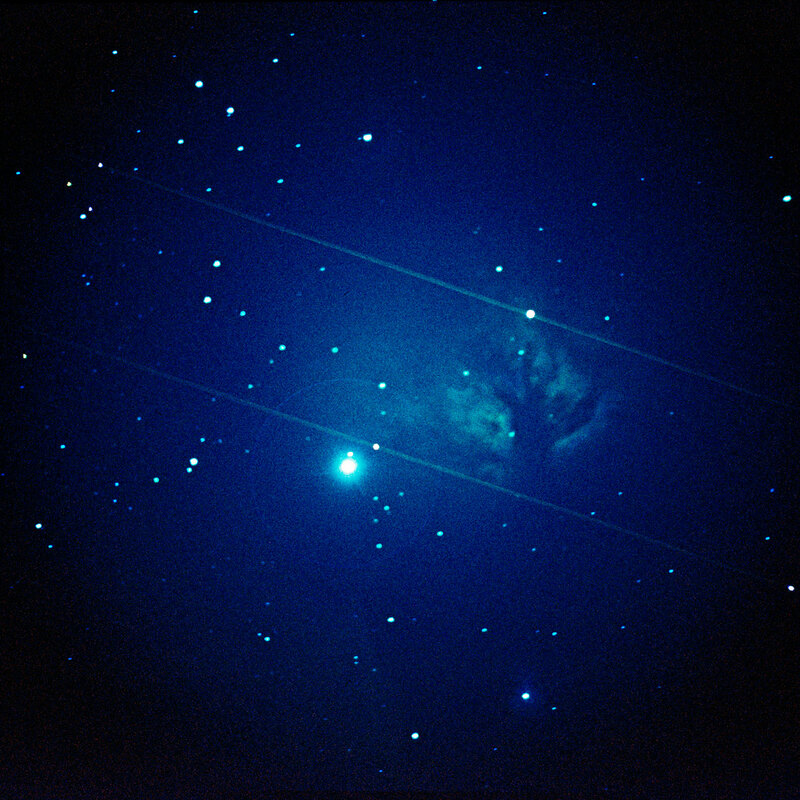 Edward Thompson, Astrophotograph of the Flame Nebula from The Beginning and the End, 2016. 35mm CIR Photograph. © Edward Thompson/Schilt Publishing & Gallery. Edward Thompson, A storm approaching Pripyat from The Red Forest, 2012. Exclusion Zone, Chernobyl. 120mm CIR Photograph. © Edward Thompson/Schilt Publishing & Gallery. Edward Thompson, Mellarium #1 from The Apiary, 2015. 35mm CIR Photograph. © Edward Thompson/Schilt Publishing & Gallery. In “The Veins” (2014) Thompson takes advantage of Infrared wavelengths’ ability to penetrate a few millimeters into the epidermis to create fractal maps of bodily veins branching off under milky, smooth stretches of skin, while in “The War” (2015) he taps into the film’s original use of uncovering camouflage to reveal hidden charcoal underdrawings in military paintings. 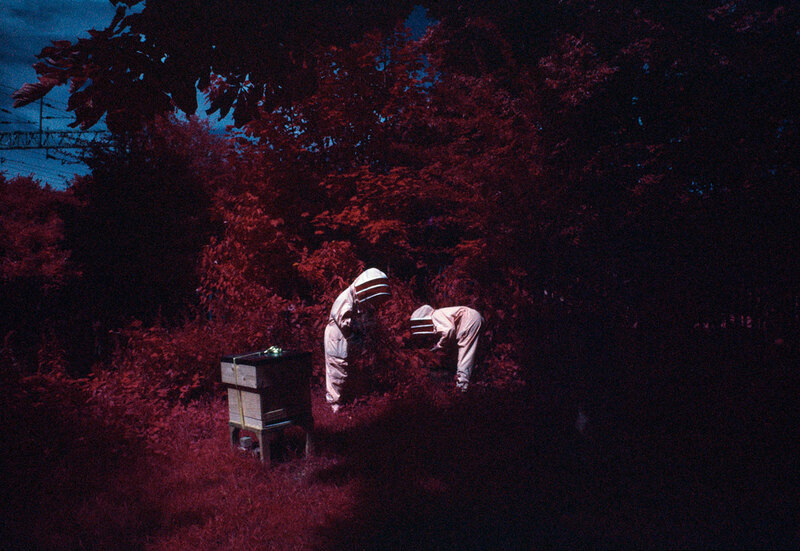 With additional subject matter such as celestial bodies, bee-keepers and open-heart surgery, “The Unseen” is a true pictorial atlas of our age, penetrating the visible surface to expose its lambent underside. 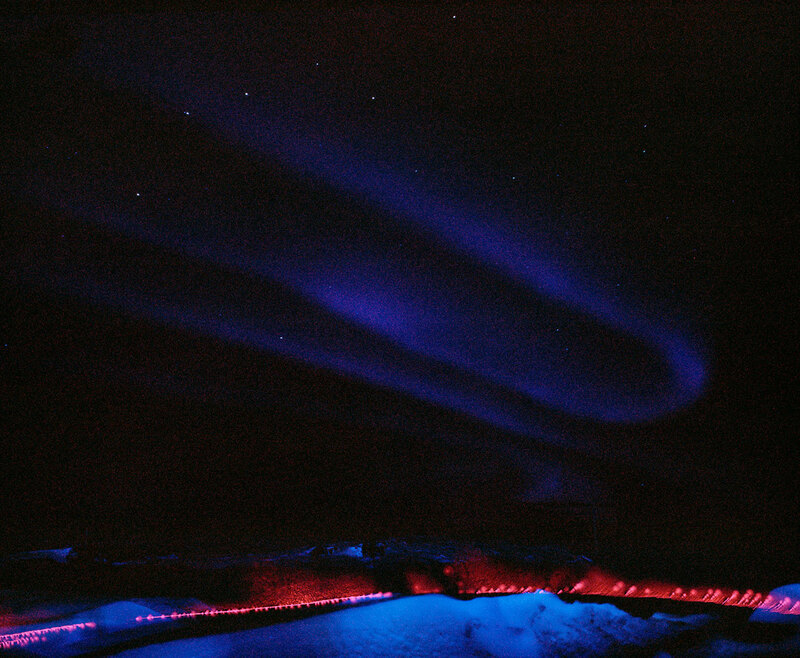 Edward Thompson, The Northern Lights and anomaly, 2016. Iceland. 120mm CIR Photograph. © Edward Thompson/Schilt Publishing & Gallery.